Cristina al'Ralgha, half-elven Solamnic Knight of the Rose, daughter of retired Knight of the Rose, Thrakath al'Ralgha- retired to a small enclave outside of Waterdeep, on Toril. 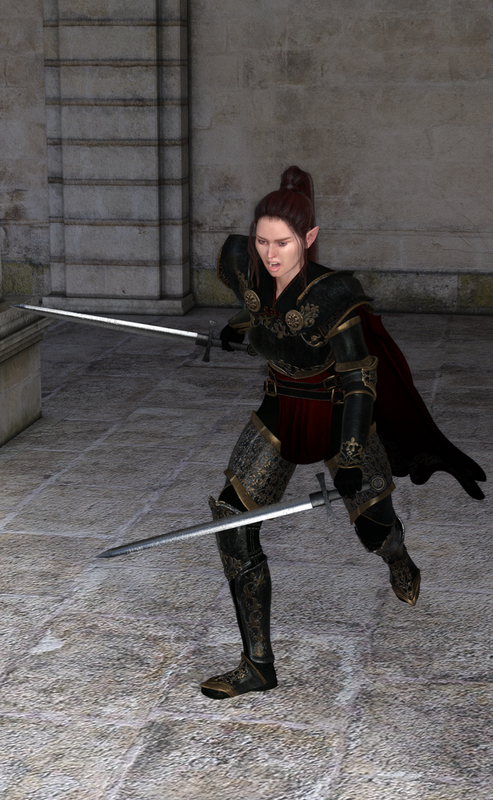 Conferred her "official" knighthood by Paladine, through Eilistraee. When I rolled her up ages ago (under 2Ed. rules), I had an awesome DM who didn't have a problem with her status.